Rejoice, 30 Rock fans: Matt Damon is returning to the sitcom. 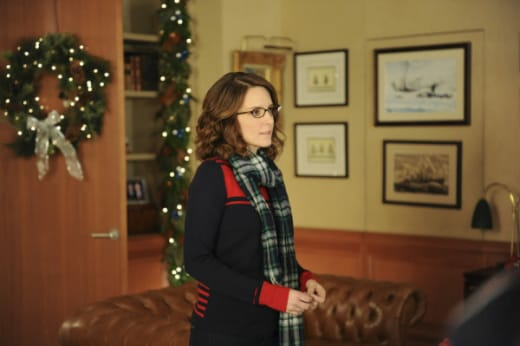 Now, shed a few tears, 30 Rock fans: the actor won't be around for long. In an interview with Entertainment Weekly, Tina Fey teased the return of her sitcom, which will come back with new episodes in a later time slot (10 p.m.) on Thursay, January 20. Also, fans can look forward to a focus on Angie’s reality show, Queen of Jordan. A major focus, perhaps. Says Fey: “We’re hoping to, maybe, if we can get away with it, do an entire episode that’s just an episode of Queen of Jordan." We'd say that qualifies as a weirder thing.